Nedbank Corporate Property Finance has extended its property portfolio base with a R150 million investment into property investment development fund, Pivotal Property Fund. The investment saw Nedbank acquire 12 000 ordinary shares, giving the bank a 15% shareholding in the Fund. The shares were part of a new issue by Pivotal Property Fund aimed at raising funds to acquire a 40% undivided share in Cradlestone Mall, the new 76 000m2 regional shopping centre in Mogale City, north west of Johannesburg, that was opened on Wednesday 20 November. According to Ken Reynolds, Regional Executive of Nedbank Corporate Property Finance in Gauteng, the R150 million investment forms part of the bank’s commitment to support, and participate in, the growth of South Africa’s promising listed property sector. “Despite a relatively muted 2013 for most of South Africa’s property sectors, property funds have generally continued to go from strength to strength, and Pivotal Property Fund is no exception, with its enviable property portfolio making it a highly appealing investment opportunity,” Reynolds explains. Reynolds also points to the reason behind the additional shares made available by Pivotal as a key reason why Nedbank chose to invest in the fund. 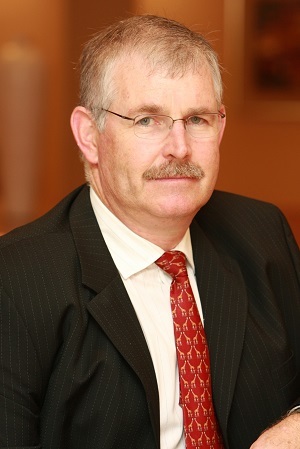 “The fact that Pivotal used the money it raised from the share issue to acquire Cradlestone Mall demonstrates that it shares Nedbank Corporate Property Finance’s optimism about, and commitment to, the SA property sector as a whole, and any such efforts to expand its already excellent commercial and retail property portfolio should build Pivotal’s capacity to continue to increase the returns it has thus far provided its investors well into the future,” he says. According to Reynolds, the Fund’s recent decision to include dividend distributions along with its historic capital growth value proposition to clients is further evidence of the excellent growth and steady evolution of this increasingly important roleplayer on the SA property fund landscape.